Make It Handmade: Does quilt shop quality fabric really make a difference? Does quilt shop quality fabric really make a difference? So, if you've been reading my blog for a while, you know how much I love saving money, especially on sewing stuff. For a long time, I never really believed that spending as much as double per yard on quilting fabric really made a difference in the finished product. Remember those cute quilts I made a few years ago? For the blue quilt, I had used Moda and Kona cotton for the quilt top, but then I used a cheaper print for the quilt backing. The quilt has been used constantly since it was made-- as a blanket, fort, lego mat, chew toy, diaper changing mat... anything you can imagine. I hope to keep it forever! But after just a few years of heavy use, you can tell the difference between the fabric quality right off. See how much the backing has pilled? And how the top fabric looks brand new? Learn from my mistake! I don't recommend breaking your fabric budget, but consider purchasing high quality cottons for special projects that will be around for years. This is one of the reasons I love having online fabric stores as sponsors. Buy being a savvy shopper, you can really get quilt shop quality fabric for the same price as fabric from larger retailers. Love Cuzco! Such beautiful prints! I would get the April Showers fat quarter bundle. Thanks for the giveaway. I have learned to use quality fabric for my backings as well as the front, too.there are a few online shops that sometimes have good sales. I love Scrumptious, so I might get some of that or I could use a couple more fat quarters for a childs quilt that I need to start..Decisions, decisions. I usually purchase when I am starting a project or if there is a really good sale and I am collecting for a future project. I stay away from most bargain store fabrics (wall***t) at $2/yd = thin as tissue paper. J's is not too bad, they are starting to carry the better fabrics and have a handy coupon they send me ALL the time. I prefer my LQS though, as I have learned to tell fabric quality by touch and there is a huge difference. So, while I understand the desire to save money, sometimes you have to spend a little to avoid a massive headache later. Thanks of the post. That is an important lesson. no tips really...am pretty new to quilting,,,but do know their is a HUGE difference in Quality from fabric I buy on-line compared to most fabrics from our Jo-Ann's. The Cuzco prints are beautiful! I splurge on good fabrics. I don't like the way the cheaper thin stuff feels or pieces together. I would have to get "April Showers" by Bonnie and Camille for Moda. Think it's so cute. I love the Amy Butler fabrics and Moda. The Lark collection by Amy Butler would be my first choice though. I would love to buy an April Showers bundle; or since I have never tried one of their scrap bags, maybe a Wishes scrapbag! I have only had a problem once when I mixed fabrics...the cheaper fabric shredded at the seams! I'd like to get some solids...lovely shop. I've just started reading your blog, loving your posts. I'm not a quilter (yet) I mostly stick to apparel, but the is def a difference in the higher end fabrics and JoAnns/Hobby Lobby etc!!!! Good advice! That said, I love that metro ikat print, and the chevrons! I would order some of those!!!! Thank you so much for the tip. I am new to quilting. I just know the better fabric is just more beautiful. It is costly but so worth it . I bought a kit at a local quilt shop to make a throw. now i will go back and buy the backing. Thanks for the advice. I love ikat fabric. I would love a April Showers fq bundle. I have always paid the $$ for higher quality fabric. If I am going to put the hours into a quilt. I want it to last, but undo try to look for sales at my local quilt shoppe when I can. Maybe I would get some Kona or a little April Showers. Excellent post! I had come to the same conclusion becasue of a quilt I made for my nephew. I totally agree that for those projects you want to be around forever, quality fabrics are the best choice. I would get a color me happy or April showers layer cake! I would have to pick the taza color stripe in pink! Its awesome. Or perhaps the Riley Blake rainbow chevrons. Or maybe the urban zoologie whales in blue from Robert Kaufman...oh, its just to hard to pick only one! For half off that's a steal! I'd buy yards of those fabrics and make myself a spring/summer dresses! I'm loving all the chevrons! Even though I do shop at Joanns for some things, there is absolutely no comparison between buying fabric store, name brand yardage and the bargain brands at Joanns. Fortunately I have a large stash of the good stuff for all my projects, but there is always room for more! Who can pick just one fabric? I live in a city, but we don't have a lot of fabric options, other than Hancock's, JoAnn's and Hobby Lobby. I'm absolutely in love with Aviary Lilac collection! 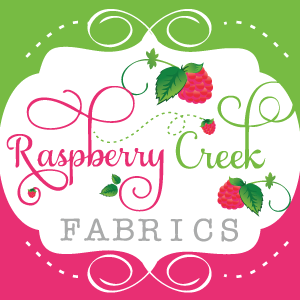 When I first started quilting I bought my fabric from the big box stores and then I won a few giveaways of QS quality fabric and never looked back. The term "quilts like butter" had to have been coined during a quilting session. Thanks for a nice giveaway. My mother is just now getting back into quilting after health issues kept her from doing it for a few years now, this is what she's always said about her fabric. Quality counts. Great giveaway, thank you for the opportunity. I'd get some pieces from the Sphere and Sunnyside collections. I love Southern Fabric's selections, especially the Amy Butler Lark bundles. And I love this prize package! Thanks so much for the chance to win. And I absolutely agree with you - quality matters. I shop the sales at internet stores and sometimes there are great bargains! In the beginning I bought my fabric at Joanns but soon found out it was usually printed off-grain and generally speaking, not to my liking. I now purchase most of my fabric from Beverly Craft's 50% off table with the exceptional full price when needed. Thanks! I would go for the Sparrows for the Aviary Collection, but I can't decide for a color yet. I think I would have to have a fat quarter bundle of Summer Breeze. I'd like a layer cake of Hubba, Hubba by Me and My Sister. I have always been happy with fabric purchased at my local quilt store. Joann's or Walmart quality can't compare, in my opinion. Love April Showers. Thanks for the giveaway! I like to shop online stores that often have sales. In addition for Southern Fabrics, I like to shop on Connecting Threads and Thousands of Bolts. If I'm just stash building, the online clearance sections are wonderful! I love the Funky Monkey - Scrap Bag by Erin Micheal! I would get some Sphere by Zen Chic. I would pick up some scrap bags, I love how they have them by collection. I only every grab kona from my local chain store using their percentage off coupons. I've been waiting for April Showers since fall quilt market. I would love some fabrics from Sweetwater. I have a quilt backing to buy for. Heirloom by Joel dewberry caught my eye. I think cheaper quality fabrics make a big difference in projects. They tend to tear and wear more readily. Color Me Happy for me! Choosing a quality fabric is very important to get proper range of patterns, textures and colors.Natural fibers, such as cotton, are durable, very absorbent (resist static), strong and very versatile, but will stain, burn and wrinkle easily, and are not the best in sunlight. How do you pick? ohhhh so many nice one's! I love the Cuzco! It just yells "SMILE!" Thanks for the opportunity to win your giveaway! What a great website and also steering me to a new one! I may never get away from the computer!